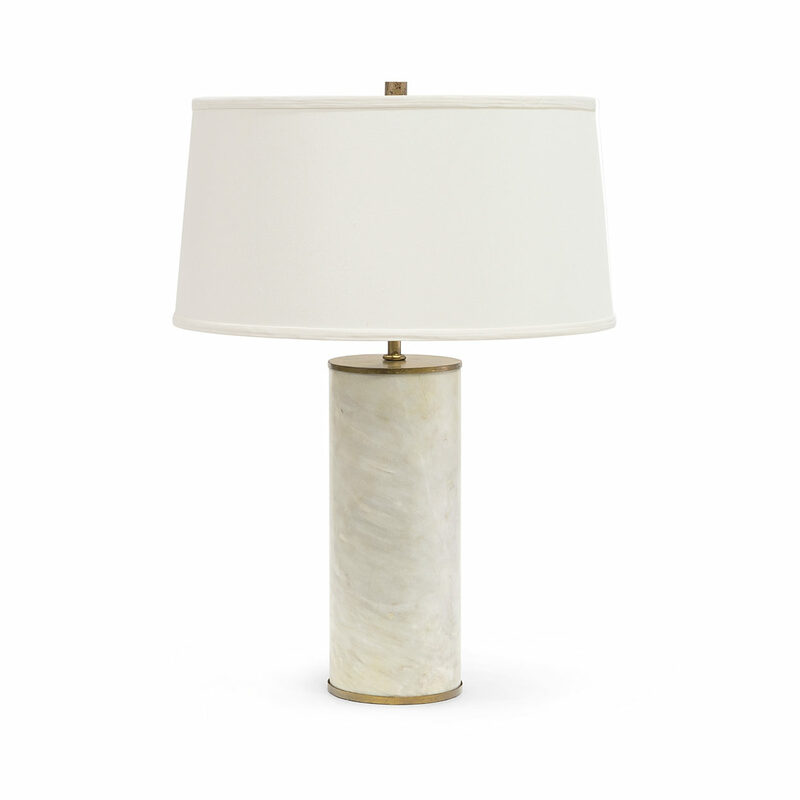 Natural alabaster stone body accented with a metal cap and base finished in an antique gold finish with a silk round tapered shade and gold cylinder finial. Alabaster is sourced from a rare mineral created from a metamorphic rock formation process. The white smoke color is natural and will slightly vary piece by piece.